To setup this app, you need to create an account in twilio.com. 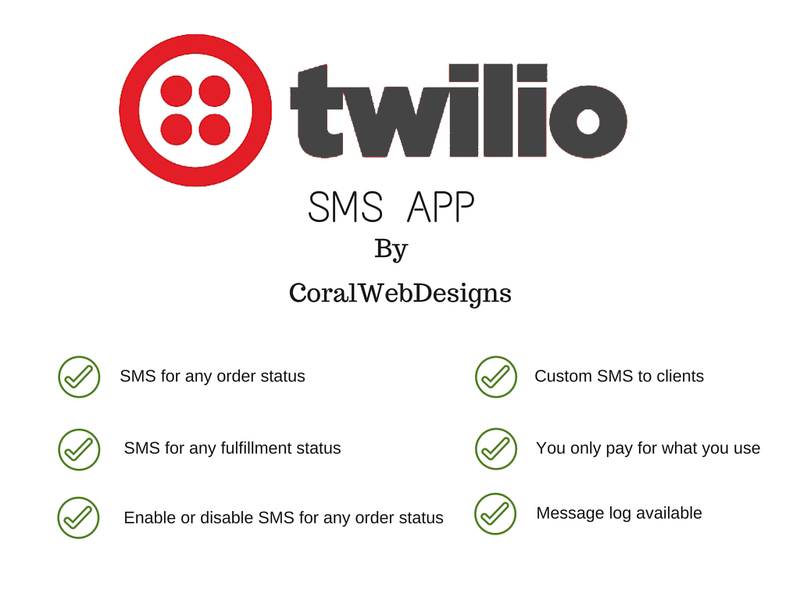 The pricing for SMS is available at twilio.com. Why you need Twilio SMS app. 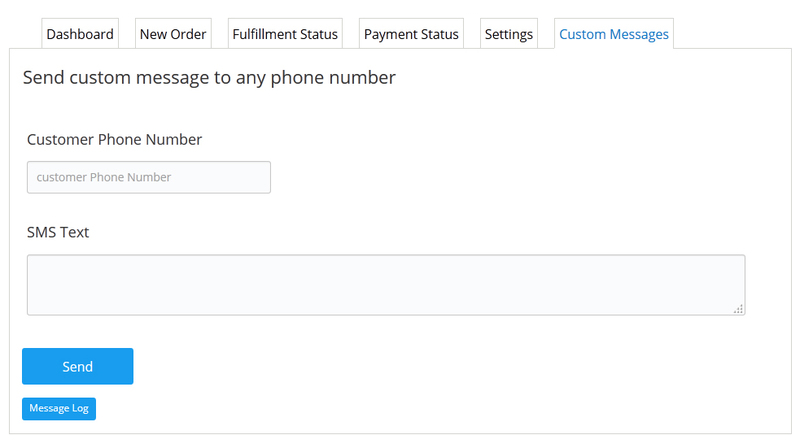 1) Customers doesn't have to call you to know the status of the order or shipment. 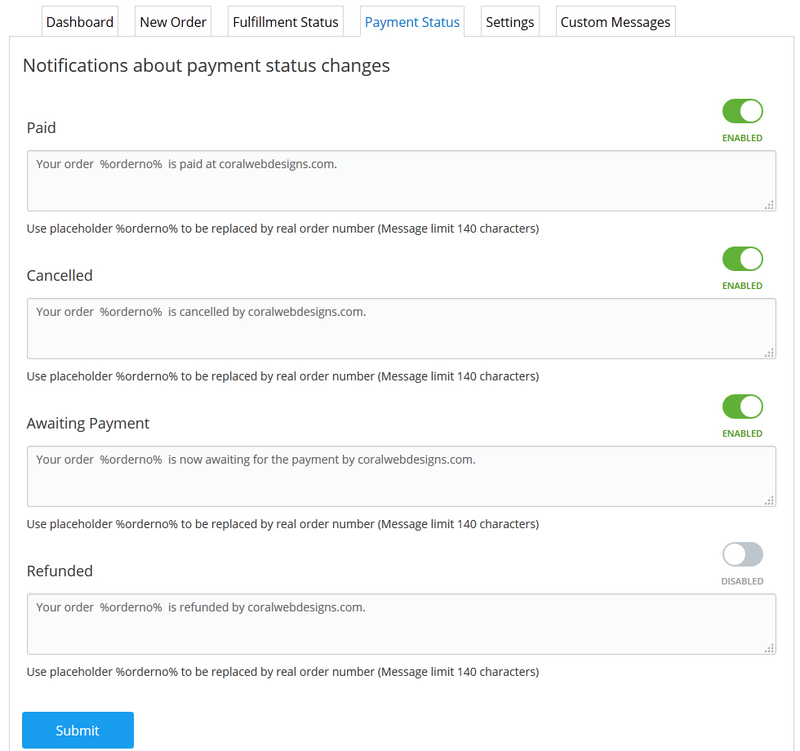 2) Custom notifications can be sent to customers in case of any issues or promotions. * The message text limit is 140 characters, more than 140 characters is sent as second email. 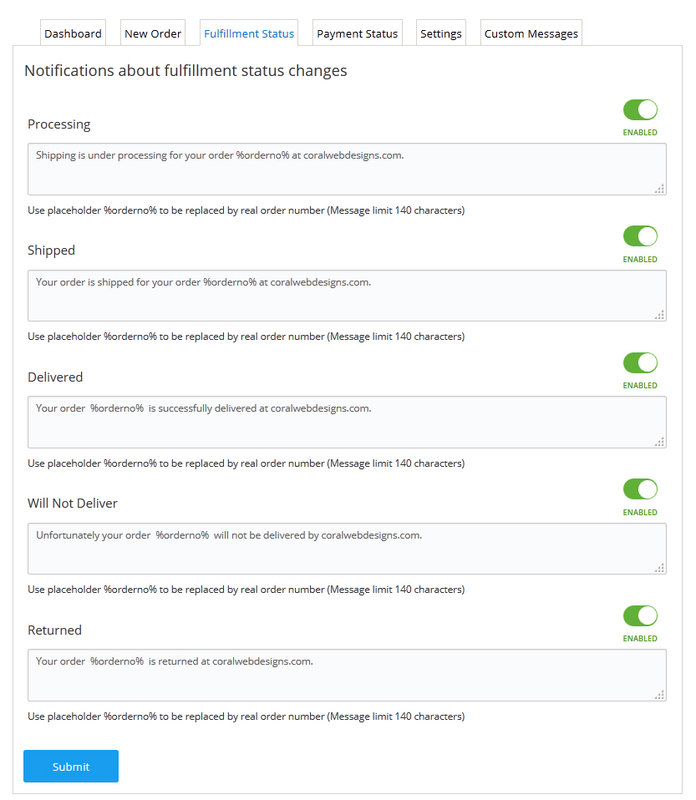 Setup an account in twilio.com. Alpha Numeric ID: The company name or brand name to be appeared when an sms is sent. i.e. ECWID. Only available for paid twilio accounts. Twilio Account ID: API ID found at Twilio.com -> account -> dashboard. 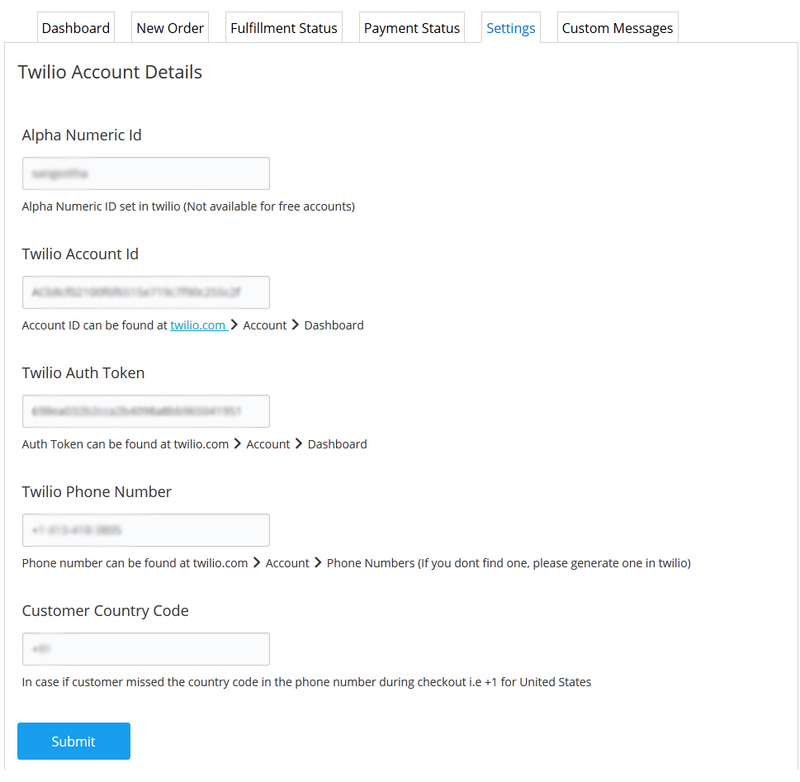 Twilio Auth Token: Auth Token found at Twilio.com -> account -> dashboard.